They'll be wishing on the stars above! 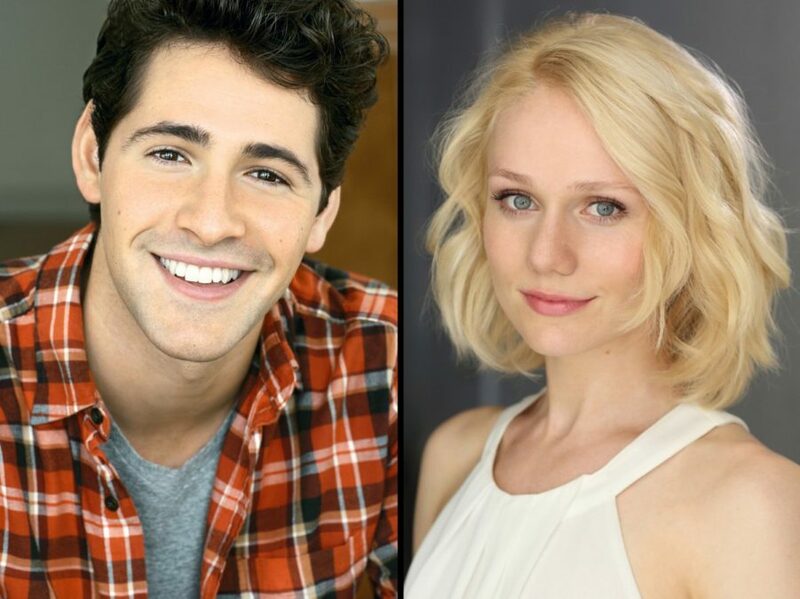 Dylan S. Wallach (Grease) and Alison Whitehurst (The Fortress of Solitude) will join the national tour of the hit Broadway musical Beautiful—The Carole King Musical as Gerry Goffin and Cynthia Weil, respectively. The new stars will join the touring production beginning September 4 in Denver, CO, before continuing on to additional cities across the country. In addition to Wallach and Whitehurst, the touring cast of Beautiful features Sarah Bockel as Carole King, Jacob Heimer as Barry Mann, James Clow as Don Kirshner and Suzanne Grodner as Genie Klein. Long before she was Carole King, chart-topping music legend, she was Carol Klein, Brooklyn girl with passion and chutzpah. She fought her way into the record business as a teenager and, by the time she reached her twenties, had the husband of her dreams and a flourishing career writing hits for the biggest acts in rock ‘n’ roll. But it wasn’t until her personal life began to crack that she finally managed to find her true voice. Beautiful tells the inspiring true story of King’s remarkable rise to stardom, from being part of a hit songwriting team with her husband Gerry Goffin, to her relationship with fellow writers and best friends Cynthia Weil and Barry Mann, to becoming one of the most successful solo acts in popular music history. Along the way, she made more than beautiful music, she wrote the soundtrack to a generation. With a book by Tony and Oscar nominee Douglas McGrath, direction by Marc Bruni and choreography by Josh Prince, Beautiful features an array of beloved songs written by Gerry Goffin/Carole King and Barry Mann/Cynthia Weil, including “I Feel The Earth Move,” “One Fine Day,” “(You Make Me Feel Like) A Natural Woman,” “You’ve Got A Friend” and the title song. The show opened on Broadway at the Stephen Sondheim Theatre in January 2014, where it has since broken all box office records and recently became the highest grossing production in the theatre’s history. The original Broadway cast recording of Beautiful—The Carole King Musical won the 2015 Grammy Award for Best Musical Theater Album, and the show launched its first U.S. national tour in September 2015. To find out when Beautiful—The Carole King Musical is headed to your city, click here and here.